We love spreading the word about force-free, science-based, positive reinforcement training! And, we love media opportunities! If you are in the media and you are interested in working with us, please don’t hesitate to contact us at info@whenhoundsfly.com or call 647-993-2275. We are happy to provide expert opinion on all things related to dogs and to help you communicate your message or story. September 15 – Andre Yeu appeared on Global TV Toronto to comment on proposed Dangerous Dog Bylaw changes in Toronto. 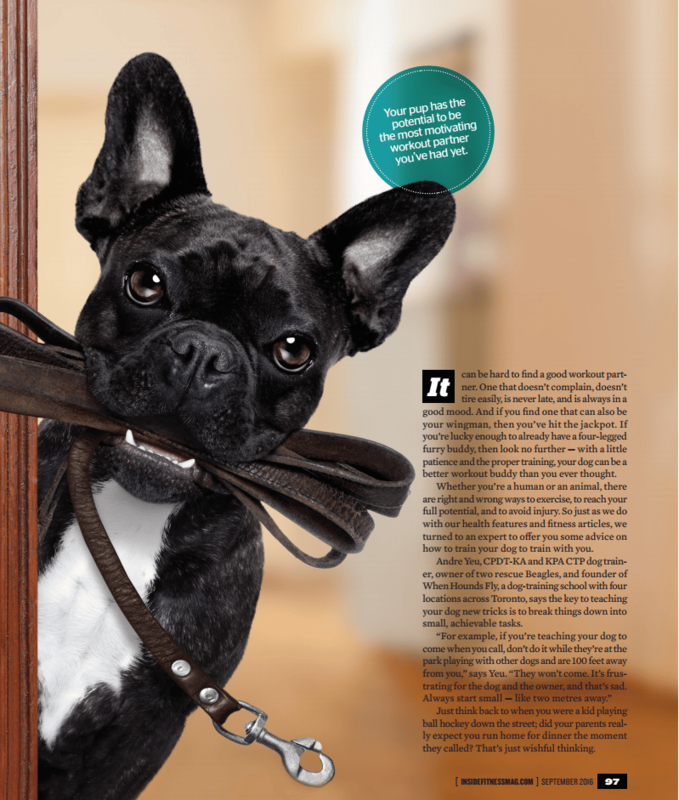 July – Andre Yeu contributed to Inside Fitness Magazine‘s feature on how to train your dog to exercise with you. May 26 – Rachael Johnston and Andre Yeu appeared on CP24 Animal Housecalls to talk about polite dog-to-dog greetings. March 24 – Andre Yeu appeared on CP24 Animal Housecalls with Petey to discuss and demonstrate clicker training. Dec 30 – Andre Yeu appeared on CityTV News to discuss separation anxiety in dogs. November 21 – Andre Yeu featured on CBC Nature of Things web clip to talk about preventing fear in puppies. November 21 – Julie Posluns featured on CBC Nature of Things to talk about her graduate studies in inter-canine greetings. 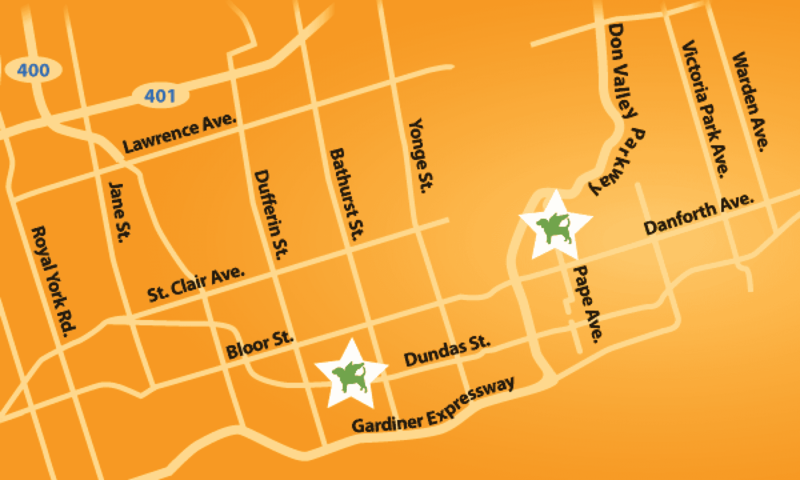 June 4 – Andre Yeu appeared on Rogers Daytime Toronto to talk about dog training. Dec 6 – Andre Yeu appeared on Goldhawk Live, alongside Toronto city councillors Denzil Minnan-Wong and Sarah Doucette to discuss proposal for off-leash hours at more city parks. September 2012 – Andre Yeu is the official dog trainer for CBC’s Over The Rainbow Toto Challenges!